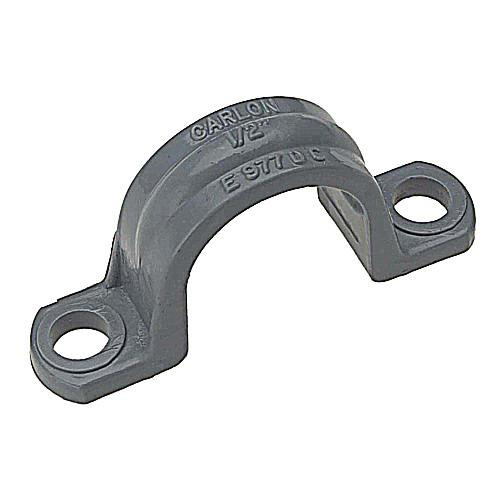 Thomas & Betts Carlon® 2-Hole Conduit clamp of trade size 2-inches, is suitable for rigid conduit. It measures 4.18-Inch x 2.49-Inch. This clamp in gray color, features PVC construction. It has wall thickness of 0.16-Inch and band width of 0.76-Inch. This UV inhibited clamp is suitable for use in direct sunlight. Conduit clamp is RoHS compliant and meets NEC standards.